The Northern Cape is South Africa’s largest province extending over almost one third of the country. With a population of just over 1.1 million inhabitants, the province houses the lowest number of people per square kilometre. Altough the province has vast open spaces and is in large parts underdeveloped, many regional centres are brimming with innovation and economic activity. In October 2014, we toured to this province and have shared our insights and photos from our recent trip below. We encountered lots of superlatives and learnt many lesser known facts about the area. We will share with you where this innovation and progress is taking place and what makes visiting or even staying in this part of the country so attractive. The Northern Cape is called the ‘Diamond Province’ as in 1867, the first diamond in South Africa was discovered near Hopetown. Did you know that 95% of South Africa’s diamond output originate from the Northern Cape Province and almost all of the alluvial diamond mining activities today take place within a 200km radius of Kimberley! 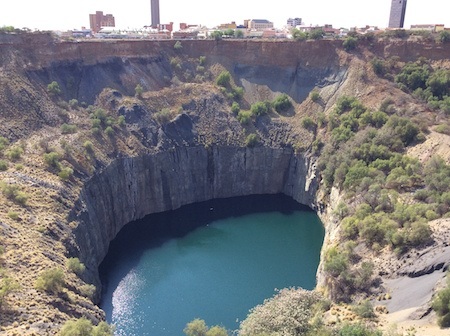 The Big Hole in Kimberley is the biggest man-made hole in the world and resulted from diamond digging activities between 1867 and 1914. The original depth of the open cast working is 240m, although today, the hole is filled with water. 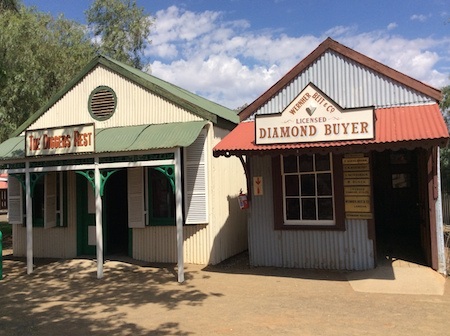 The site houses a fascinating open-air museum, has a lookout bridge over the Big Hole and offers an underground mine tour. 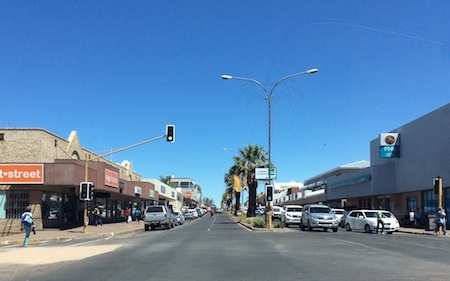 Kimberley is a modern city with a well-maintained city centre, good shopping facilities and plenty of modern amenities. Many people from the more remote parts of the province come here to do their shopping and access the many facilities while visitors from all over the world come to visit the fascinating Big Hole Complex or to participate in the many international conventions and events. 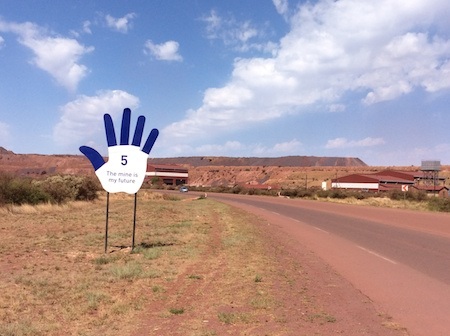 Another interesting mining town is Kathy where the still active mining site can be visited at the Sishen Mine. Anglo American's Kumba Iron Ore operates the world's largest jig plant. The Sishen Mine, also one of the largest open-pit mines in the world, produces more than 30 million tons of the natural resource annually, employing more than 8,000 workers and contractors. The mine can be visited on Saturdays upon appointment. Kathu is a small mining town and houses mainly the mine workers and contractors of the mine. 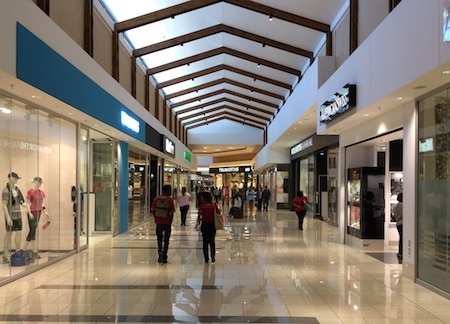 There is a new, large and very modern Kathu Village Mall with a wide range of boutiques and mega stores. Roughly 200km west of Kathu, on the N14, the main artery between Johannesburg and Springbok, lies Upington, the economic hub of the region. Upington which lies on the Orange River has a thriving agricultural sector and growing tourism sector. Increasing international investment is evident in this region resulting in a growing international community. The town has an airport which not only receives international charter flights but also offers daily flights to Cape Town and Johannesburg. In fact, Upington Airport has one of the longest runways in the world! Modern amenities and good schooling options are available in the town and the Kalahari Mall, see below, caters for all needs and tastes. Due to the high sun intensity and abundant sunshine hours, the region around Upington is earmarked for many solar projects. 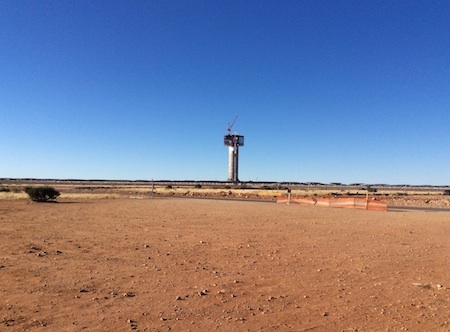 The two huge solar thermal plants which are currently constructed will not only be the largest solar plants in the Southern hemisphere but also use the latest generation of solar tower technology. These projects provide not only international investment but also knowledge transfer which will enable the Northern Cape to become a forerunner in renewal energies worldwide. Here you see the newly built tower of the Khi One Solar Thermal Power Plant which is currently being constructed by Spanish Abengoa who developed the technology. The plant consists of a 50m high tower and a solar field of 35 heliostats (computer-controlled mirrors). 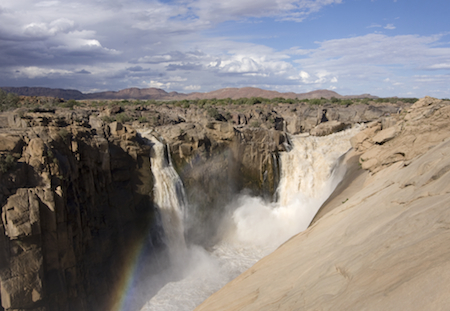 Within an hours drive from Upington, you can visit the Augrabies Falls which are the second biggest waterfalls in South Africa. The national park offers a walkway along the gorge's edge where you can hear the white waters thundering down. In record floods the water volume flowing through the gorge are three times higher than high season flow rate of the Niagara Falls. The national park is best explored on hikes or with a 4x4 as the gravel roads lead through the small waterways of the Orange River. The Orange River (also called Gariep or Oranje River) is the longest river in South Africa with 2250km in length. It originates in the Drakensberg and flows westwards through the Free State and through the Northern Cape province. The irrigation systems introduced in the Orange River Valley around Upington create conducive conditions for rich fruit and vegetable production in the otherwise arid region. Make sure to buy some delicious local raisins at one of the many pad stalls (farm stores) around Kakamas and Keimos. The Pienk Padstall near Kakamas is a treasure trove of delicious goodies. 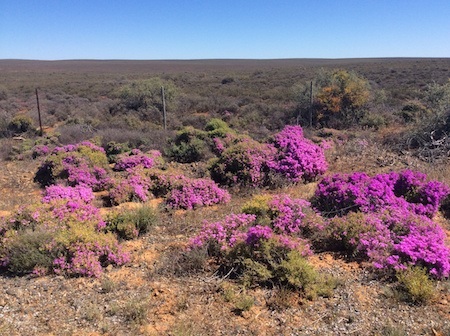 The Northern Cape, however, does not only hold the record as being the country's sunniest place, but also as having the country’s coldest place, Sutherland. 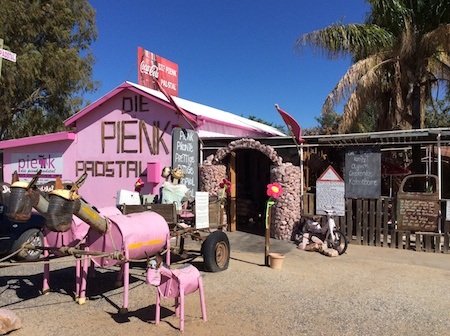 This Karoo town is located in the southern part of the province. When visiting Sutherland in winter, come prepared as the temperatures can drop way below freezing point even during the day. 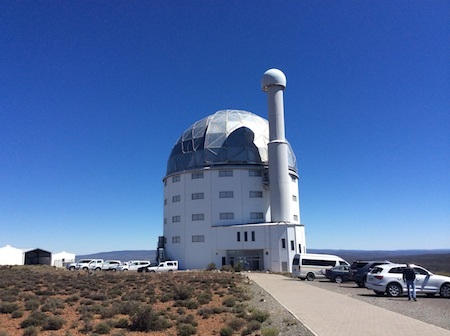 Sutherland is home to the South African large telescope (SALT) which is the largest single optical telescope in the Southern hemisphere. It is located at 1798m above sea level on a hill above Sutherland. When venturing to this remote town for a splendid stargazing experience, remember that most of the roads leading to and from Sutherland are gravel roads and plan your trip accordingly. In fact, only about 11% of the province's roads are tarred. The rest are gravel and sand roads, and are quite well maintained, however, a 4x4 in this area is highly recommended. 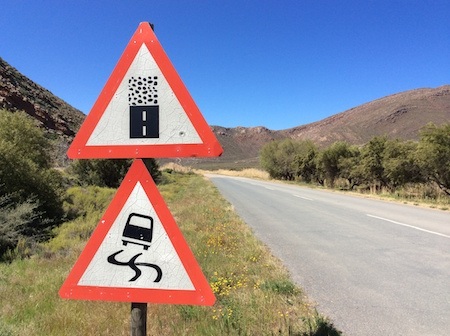 Beware the many gravel roads - Plan your trip wisely! In the far north of the province another surprise awaits you. The 'Eye of Kuruman' is said to be the largest natural spring in the Southern Hemisphere pouring out around 20 million litres of spring water a day. 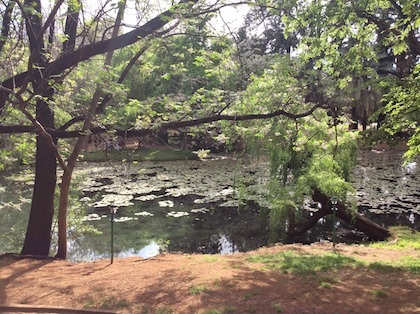 The spring was most probably formed over 190 million years ago. The location is really idyllic surrounded by a picturesque park where many wedding parties meet here to have their wedding photos taken. Another very scenic area is the Namaqualand, especially when the wildflowers are in bloom in August and September. The Namaqualand has the world's most bulb species in an arid region and the richest succulent species as well. The spectacular display of wild springflowers attract visitors from all over the world to this region in the north western parts of the province. Read our tips for going on a flower safari in South Africa here. The remote coastal area is also home to the Namaqua dwarf adder which is the world’s smallest viper. They grow only to about 20cm and at birth are just 10cm long and weigh less than 3g! Although venomous they are very shy. To view big game, the Kalahari region is certainly one of the most remote and thus 'wildest' destinations in the country. 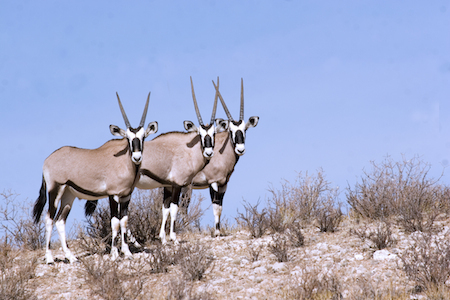 The largest privately owned and luxurious game reserve of Tswalu in the Kalahari region in the far north of the province is home to more than 80 mammal species, among them various antelopes, zebras, Kalahari lions and the desert black rhino. Last but not least, the people are what makes this province really stand out. Not only is it here, that the last remaining San people in the world found a safe refuge, but also the remoteness asked for strong communities but as we encountered various times. 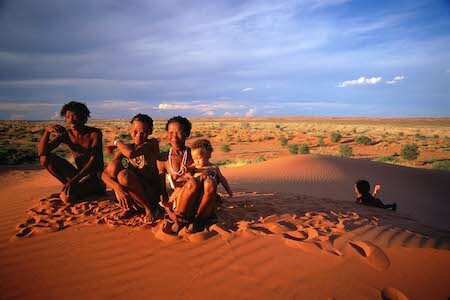 The Northern Cape's people welcome the many visitors and those settling in this remote region with open arms. The main languages spoken in the province are Afrikaans and Setswana, although English is widely spoken and understood by all. We hope you enjoyed our photo story. There are so many more interesting facts about this amazing province, please feel free to drop us a line with your queries, join and like our Facebook group LivinginSouthAfrica and make sure you get a copy of our new guide to South Africa which provides many more tips and insights on the Northern Cape. 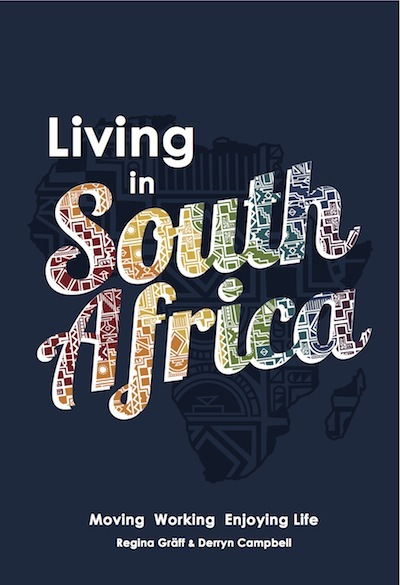 Need more information about Living in South Africa and the Northern Cape?